Add inner shadows to give your page's components depth. Inner shadows give components depth. To add an inner shadow you must first select a component. Once selected, the component's details will occupy the Right Pane. From this pane you can add an inner shadow. Newly added components do not have inner shadows; however, there is no limit to the number one can have. 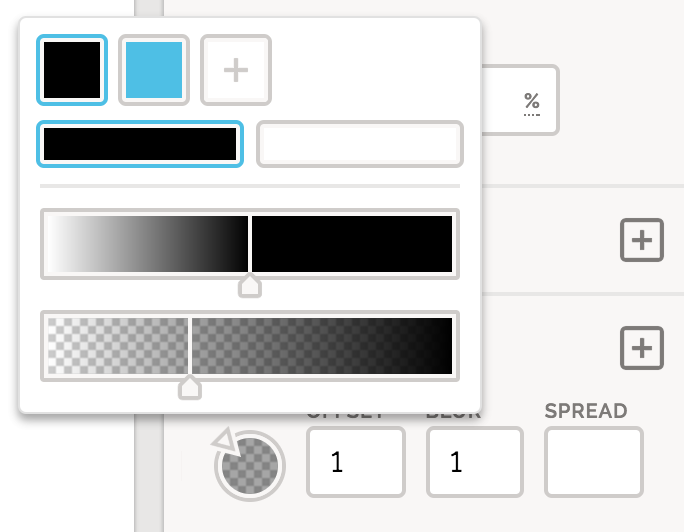 Click the grey "+" to add an inner shadow or the red "x" to remove one. You can also change the direction of the inner shadow by dragging the caret around the inner shadow's left circle.